Avendus Capital provides fairness opinion to Kotak Mahindra Bank Ltd, on the share exchange ratio, in its merger with ING Vysya Bank Ltd. The Board of Directors of Kotak Mahindra Bank Ltd (“Kotak”) and the Board of Directors of ING Vysya Bank Ltd (“ING Vysya”) have approved an all-stock amalgamation of ING Vysya with Kotak. The amalgamation is subject to the approval of the shareholders of Kotak and ING Vysya respectively, Reserve Bank of India under the Banking Regulation Act, the Competition Commission of India and such other regulatory approvals as may be required. Upon obtaining all approvals, when the merger becomes effective, ING Vysya will merge with Kotak. Shareholders of ING Vysya will receive shares of Kotak in exchange of shares in ING Vysya at the approved share exchange (“swap”) ratio. All shareholders of Kotak and ING Vysya will participate thereafter in the (merged) Kotak business. All ING Vysya branches and employees will become Kotak branches and employees. ING Vysya shareholders will receive 725 shares in Kotak for 1,000 shares of ING Vysya. This exchange ratio indicates an implied price of Rs.790 for each ING Vysya share based on the average closing price of Kotak shares during one month to November 19, 2014, which is a 16% premium to a like measure of ING Vysya market price. 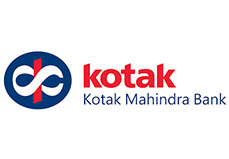 The proposed merger would result in issuance of approximately 15.2% of the equity share capital of the merged Kotak. Avendus Capital provided a Fairness Opinion to Kotak on the share exchange ratio. Kotak Mahindra Bank (KMB) offers complete retail financial solutions for varied customer requirements. The Savings Bank Account goes beyond the traditional role of savings, and provides a wide range of services through a comprehensive suite of investment services and other transactional conveniences like Online Shopping, Bill Payments, ASBA, Netc@rd, ActivMoney (Automatic TD sweep-in and Sweep-out) etc. Kotak’s Jifi, a first-of-its-kind fully integrated Social Bank Account, redefines digital banking by seamlessly incorporating social networking platforms like Twitter and Facebook with mainstream banking. KayPay, the world’s first bank agnostic payment product for Facebook users enables millions of bank account holders transfer money to each other at any hour of the day or night, without the need of net banking, or knowing various bank account related details of the payee. ING Vysya Bank Ltd is a premier private sector bank with retail, private and wholesale banking platforms that serve over two million customers. With over 80 years of history in India and leveraging ING’s global financial expertise, the bank offers a broad range of innovative and 5 established products and services, across its 573 branches. The Bank, which has close to 10,000 employees, is also listed in Bombay Stock Exchange Limited and National Stock Exchange of India Limited. ING Vysya Bank was ranked among top 5 Most Trusted Brands among private sector banks in India in the Economic Times Brand Equity – Nielsen survey 2011. ING is a global financial institution of Dutch origin offering banking services through its operating company ING Bank and holds significant stakes in listed insurers NN Group NV and Voya Financial, Inc. ING Bank’s 53,000 employees offer retail and commercial banking services to customers in over 40 countries.